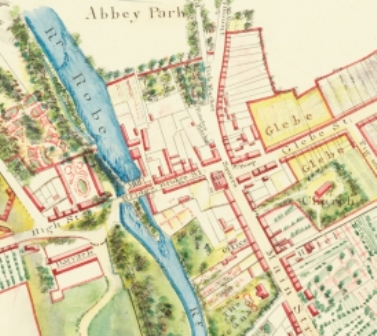 "I am researching the Gibbons and Walsh families who lived in Ballinrobe, probably around mid 19th century. 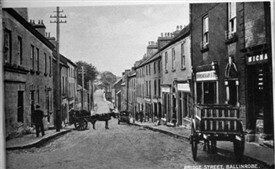 The parents were Thomas Gibbons who married Bridget (nee Walsh). It seems they may have originated from Tourmakeady Co. Mayo before moving to Baltimore, USA. Bridget was born in 1803. There were 5 children, Mary, Catherine, James, John and another, possibly a son. 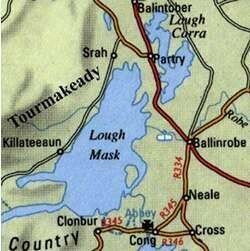 They returned to Ballinrobe in County Mayo from the USA because of Thomas' health. He died in Ballinrobe 15 years later aged 47. That is when they re emigrated to the USA (New Orleans this time, but I believe James opposed the civil war and went back to Baltimore). Does anyone have any information about this family?" I would really appreciate your help". This page was added by Averil Staunton on 05/04/2017. I am tracing my own roots in Tourmakeady. My great-great grandmother was a Catherine Walsh; she would have been born sometime in the 1850's or so as she married John Higgins in Tourmakeady in Feb.1871. All of their children were born there. Sadly, it's almost impossible to know when she was born as there are more than one Catherine her age. If you've researched the register, I'm sure you must be running into the same thing. her children were Bridget,John,Ellen,Nora,William,and Patrick. One of the sponsors that shows up a lot is a Mary, also a John and James Walsh. Sorry, I can't be of much help. My great, great grandmother's name was Catherine Walsh, who married John Higgins in 1871 and recorded in the Catholic registers in Tourmakeady. I doubt this will be of any help to you, but we may be very distantly related!